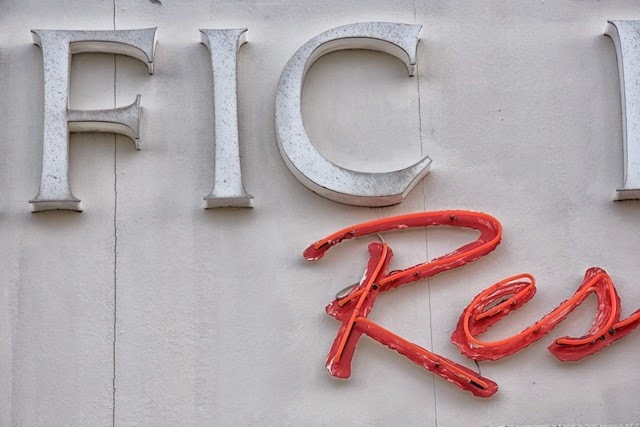 FIC RES - and the shiny aluminium is now pitted and grey while the red paint behind the neon will soon be just a pink streak. Just a few years ago this was a shiny new sign. The effect really doesn't take long.